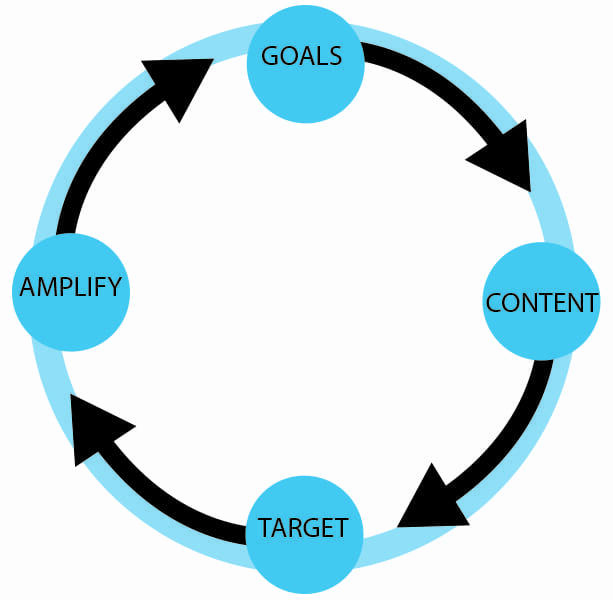 Why PPC and Content Marketing are now the same: The Viral Cycle explained. We believe that PPC and content marketing are now the same thing. Goals: Each business has a story. The founder, CEO, or President has a distinct vision that is shared throughout the company with its employees. This vision and story makes great content! By sharing these stories and goals, this builds your relevant audience. These specific goals and strategy when combined with social, takes your advertising to new heights. Your viewers then understand what you stand for and can form that personal relationship. 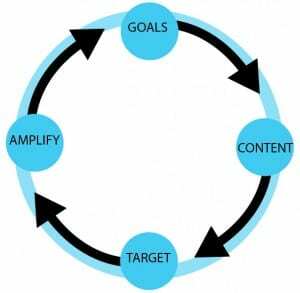 Content: These clearly defined goals lead to great content. Sharing the success stories, interesting and relevant news, and things that are relevant to your business build your audience even further- content drives this “engine”. Once you find the kinds of things your audience “likes” and relates to, you can then move on to the next part of the cycle. This can be done through split testing and other methods. Targeting: Once you have found the goal of your content, why not share it with more people? Fans of your page, friends of fans, people who have the same interests, etc. By running ads to specific audiences, you are able to find who are valuable fans. These are the people who are going to support your cause or better yet be lead to converting. Amplify: Once you have found your fan crowd, make sure your content reaches them. They are the ones who care about your cause / business, and resonate most with your message. This is where the conversions start to take place. Whether it’s page likes, going to your website, or even to a specific landing page, these are the loyal fans. We will be exploring these concepts in depth during training on June 2nd at our offices in Minneapolis, covering how to do each of these things (find your audience, engage them and convert them through social)! Why don’t you join us?